With the return to economic stability after World War II, Nippon Kogaku, known as Nikon today, continued to grow into a major international brand, and eventually become one of the leaders in digital photography. (Read Part 1 of this PhotographyTalk.com article for the company’s early history.) As professionals in the U.S. began to use Nikon cameras, many photojournalists relied on the company’s lenses during the Korean War. In fact, they even requested that Nippon Kogaku make lenses specifically designed to fit Leica cameras. The company and its photography products received an additional boost during the 1960s when they became the preferred equipment for photographers with Life, National Geographic and Stern, Germany’s most-popular picture publication. This professional use of Nikon cameras and lenses quickly influenced the amateur, or consumer, market, which started to buy these products. Nippon Kogaku’s introduction of the world’s first single-lens reflex (SLR) camera during 1959 broke Leica’s dominance of professional-grade cameras. 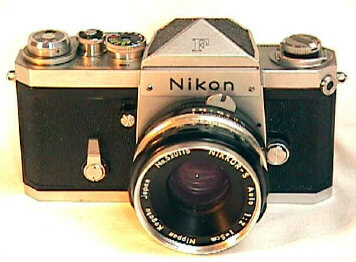 Its parent company didn’t have a SLR until 1964; and, by then, Nikon’s SLR, coupled with the high optical quality of its lenses, was the professional gold standard. During the 1960s, Nippon Kogaku decided not to follow Canon and Minolta into the office-equipment market. These companies concentrated much of their efforts on producing copiers, calculators and similar devices, while Nippon Kogaku brought new photography products to the market. By this time, Nikon was so dominate that the U.S. National Aeronautics and Space Administration (NASA) wanted its cameras to be the exclusive equipment on the Space Shuttle. Nippon Kogaku’s competitive advantage was short-lived, however. First, its heavy pursuit of the camera market resulted in two-thirds of its revenues being dependent on photography equipment sales. Then, by the early 1980s, the company and its rivals had done such a good job marketing 35mm-cameras that the world was saturated with them, living little room for additional growth. Even more unexpected and earth shattering was Canon’s introduction of the AE-1 in 1976, which had a semiconductor chip that could automatically control some camera settings. The digital photography age had begun and Nippon Kogaku was not ready. It wasn’t until 1982 that Nippon Kogaku had its first early digital camera, the FG 35mm SLR. That delay provided Canon with the opportunity to grab significant market share from Nikon. Nippon Kogaku was still a strong and savvy competitor for Canon. Nikon’s One-Touch camera made significant inroads into the low-end market, while its Nikon F-501 and Nikon F-801, which both had an auto-focus feature, earned major camera awards and countered Canon’s growing emergence. Simultaneously, Nippon Kogaku was still a leading designer and manufacturer of non-camera optical technology, including ophthalmology, a laser interferometric X-Y measuring system, semiconductor-production equipment, electronic imaging, digital video for consumers and lenses for high-definition television. Nippon Kogaku changed its name to Nikon Corporation during 1988, which is when it also decided that electronics and digital technologies were the future, not the many optical products it had manufactured since the first days of the company. All successful companies are able to re-focus their vision and Nikon did so as a major player in the semiconductor market. It didn’t neglect cameras, though, bringing the first underwater auto-focus SLR to the world during 1992, and then developing more cameras for the consumer market, such as the Coolpix compact, which became available during 1997. With almost half of its revenues coming from semiconductor sales during the late 1990s, Nikon suffered when that market fell. New leadership and major reorganization helped the company to re-defines its goals again. In the new century, it has expanded its reach into the consumer market with a number of compact and “beginner” DSLR cameras and continues to battle with Canon, offering professional-grade cameras and lenses that compare favorable with that competitor and the many others in the market. According to statistics from the research company IDC, Nikon was third in worldwide digital camera sales during 2010 at 12.6 percent. Canon was first with 19 percent and Sony was second with 17.9 percent. For SLR cameras (or those with interchangeable lenses), Canon also led with 44.5 percent of the market, while Nikon was second with 29.8 percent and Sony third with 11.9 percent. With the new millennium, it’s clear that the camera industry has changed tremendously since the early days of Nikon, almost 100 years ago. 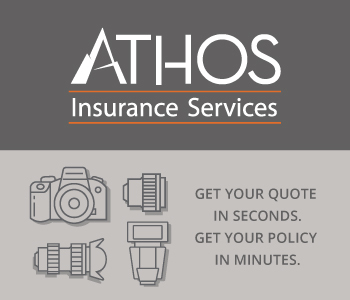 The company is a major global brand in a highly competitive environment and every digital photographer looks forward to what comes next.